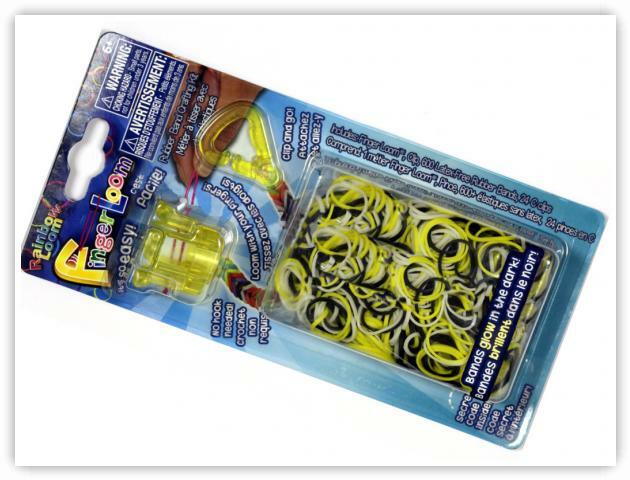 An additional loom kit available from the Rainbow Loom product line is the Finger Loom. This loom may be purchased individually, or in a Party Kit which has 9 Finger Looms. It is availabled in assorted colors. It is called the finger loom because you loom with your fingers - no hook needed. The loom is molded from a single piece of colored plastic and has 4 pegs. The Kit includes the loom, 600 elastic bands and 24 C-Clips.